“Protein is protein” is a phrase I hear on a regular basis! Is this true, is protein really just protein? Well to answer that question briefly, the answer is NO! Protein is a weird animal because protein isn’t just protein when it comes to whey isolates, concentrates, and casein proteins. There’s a lot that goes into producing a high quality protein that the body can make good use of and is easy on the digestive system. So to get started I will just keep it simple and explain how to know how much of your container is protein versus what the companies fill them up with to keep cost down and make a profit. 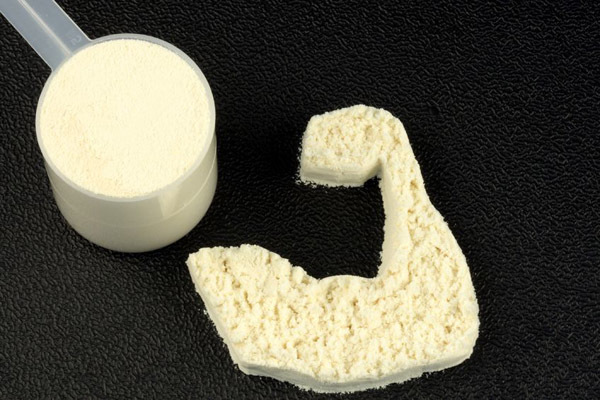 One key factor to pay attention to and makes picking high quality protein a little easier is to look at how much protein you’re getting versus filler. The way this is done is to take the amount of protein you’re getting per serving and divide it by the serving size(normally in grams) listed on the nutrition or supplement facts. So if your protein is 30 grams per serving and the serving size is 35 grams you have 85% protein per scoop. Which is going to be extremely high quality since it contains hardly any filler and is primarily protein. Now if you have a protein powder and the amount of protein per serving is 22 grams and the serving size is 45 grams you’re looking at a container of protein that is only about 48% protein. That is a very low quality protein that the body can’t make good use of and probably has a very low bioavailability(which I’ll get in to in a later post). So turn your container around and see how much protein you’re really getting! But at the end of the day if the protein seems low quality it probably is.